New YG Speaker Vantage presented at AXPONA 19! The Totem Acoustic Sky delivers dynamic, exciting sound for a compact speaker, though it requires careful placement and equipment-matching for best results. Compact “bookshelf” speakers have their advocates, but I’ll admit up front that they’ve never been my bag. I guess you could say there’s something about the stateliness of floorstanding towers that appeals to my personal taste. And then there’s the problem of the shelf itself: every time I’ve tried to listen to compact speakers installed in a place where books would typically sit, I’ve been thoroughly unimpressed with the sound. 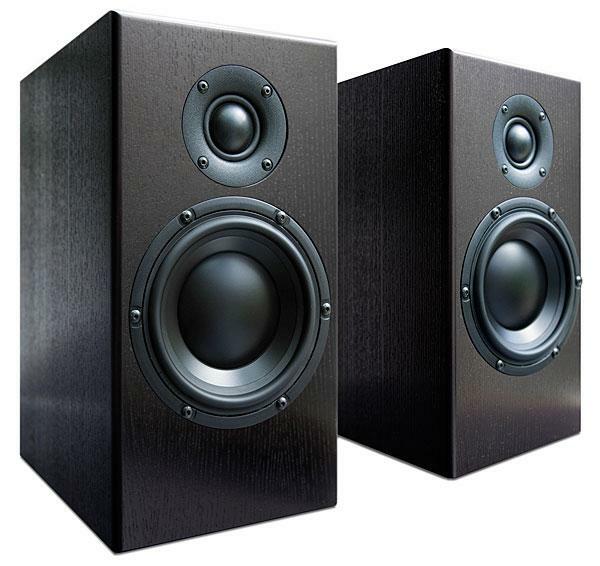 Flat imaging, indistinct bass—to me, those are the hallmarks of shelved speakers. Not a problem for background music, but for critical listening, stands are a must. 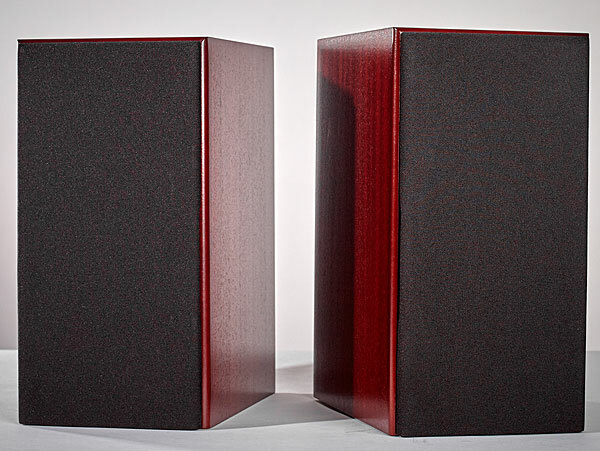 Canada’s Totem Acoustic is a company that makes a wide range of bookshelf speakers (along with floorstanding, on-wall, and architectural speakers, and also subwoofers). And while Totem seems fine with applying the bookshelf label to its more compact models, they also provide highly specific recommendations for getting the best sound from them. The Sky ($1,850/pair), for example, is meant for placement on stands 6 inches to 3 feet from a rear wall and 2 to 8 feet apart. Totem further stresses the need for at least 70 to 100 hours of break-in time (more on that in a bit). To me, there’s nothing casual about those directions; Totem clearly designed the Sky not for background/bookshelf listening, but for serious sound. The Sky’s looks aren’t overly fancy, but it does exude a sense of quality and fine craftmanship. 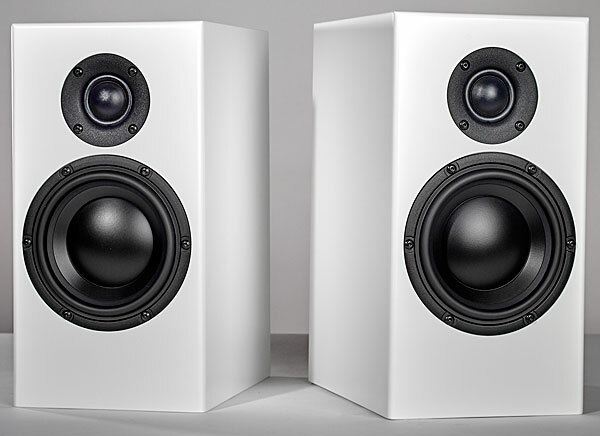 The speaker’s 6.35 x 12 x 9-inch (W x H x D) cabinet is notably slimmer than a typical boxy bookshelf speaker, and it comes in satin white, black, and mahogany finishes. 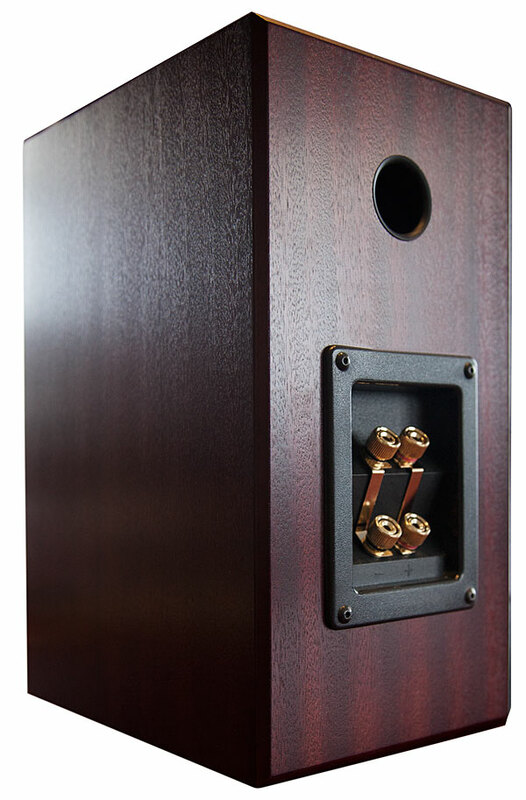 Lock mitered joints help create a seamless appearance, while internal borosilicate dampening, according to Totem, “controls energy release yet keeps the cabinet musically alive.” Twin pairs of high-quality, gold-plated binding posts are provided on the back panel, and the speaker also comes with magnetically attached grilles. On the specs front, the Sky’s frequency response is rated at 48 Hz – 29.5 kHz (± 3 dB), impedance at 8 ohms, and sensitivity at 87 dB. The two-way ported design uses a first-order crossover that divides up frequencies headed to the speaker’s 5-inch mid-bass driver and 1.3-inch tweeter at 2.5 kHz. A 500-watt peak power handling capability means it can be mated with a wide range of amplifiers, though the 150 watts-per-channel Hegel Music Systems H190 integrated amp that I primarily used for testing was more than up to the task of driving the compact Totems. Along with the Hegel H190 integrated, other gear I used for my testing included a Pioneer BDP-88FD universal disc player and an Elac Discovery music server connected to the H190’s coaxial and optical digital inputs, respectively. Speaker cables used were Nordost Purple Flare. A Paradigm Defiance V12 subwoofer and Anthem STR integrated amplifier (review on page TK) were also briefly added to the mix during my evaluation, but for the most part I listened to the Sky minus the subwoofer and the Anthem room correction processing. Upon first setting the Skys up and doing some casual listening, the compact speaker’s extended highs and generous bass was immediately apparent. When I eventually sat down for a more critical listening session, however, my impressions were mixed: The Sky’s sound had a uptilted quality that I found a bit fatiguing. After poring through Totem’s manual, I opted to carefully follow the written instructions, first breaking in the speakers for the recommended 70-100 hours, and then installing them a foot out from my room’s back wall and 7.5 feet apart from each another. (Speakers typically get a wider spread in my 16-foot-wide by 20-foot-deep listening room.) I also did a tweaky audiophile thing I hadn’t done previously: fill my metal speakers stands with sand to deaden them and provide a more massive foundation. The end result of all this fussing, mussing, and adjustment-making was better sound. The presentation was more balanced, the imaging wide and deep, and the Sky’s treble, while still more zippy than what I’m used to hearing from the GoldenEar Technology Triton Five towers that regularly sit in my listening room, more open and less fatiguing. Yes, sometimes it’s good to do exactly as you’re told. Test tones confirmed that the Sky had quite audible bass output below the 48 Hz -3dB limit that Totem specs for the speaker. There was also an incredibly even match in the timbre of both Skys when I played pink noise on them. Switching from test tones to music, I played a reference track, Bill Frisell’s “Blues Dream,” from his With Dave Holland and Elvin Jones CD and heard, clean, tuneful, and notably extended bass given the Sky’s compact size. Frisell’s electric guitar had a clear presentation and crisp bite, though I wouldn’t say it ever veered off into sounding sizzly or harsh.To double-check and confirm that the Sky’s rendering of high frequencies was something I could live with, I streamed the track “Darling,” by Indie rock band Real Estate, from Tidal. The song’s bright, jangly 12-string electric guitar sounded well forward in the mix on the Totems. Here again, though, I didn’t find the presentation harsh or edgy. Nonetheless, it became very apparent to me that the Sky is a very revealing speaker compared with a more forgiving model like my GoldenEar Tritons, which usually sound fine with most things you throw at them. To check the Sky’s imaging abilities, I played a high-res 24-bit/96 kHz HDtracks download, “Alabama,” from the album In Movement by Jack Dejohnette, Ravi Coltrane, and Matthew Garrison. The shimmering sound of DeJohnette’s cymbals spread wide across the room and I heard plenty of detail in his deft drum rolls. I also noted good front-to-back depth in the recording, with ample space between the drums and Coltrane’s saxophone. The powerful, raw, textured quality I heard as Coltrane plowed through his solo also showed the Sky to be highly capable of delivering fine dynamics. Another track, “Is this the Life We Really Want?” from the recent Roger Waters album of the same name further demonstrated the Totem speaker’s dynamic ease. Waters’ voice floated palpably at dead center while dry flourishes of strings heaped drama onto the laid-back beats and bass. The Skys conveyed the song’s expansive mix in an authoritative manner, with precise layering between instruments and voices in the mix. When it comes to speakers, my personal preference favors lushness over precision, though I’m glad to hear it when a speaker can provide some of both. Listening to a Tidal stream of a techno track, “Syncope,” by Steve Hauschildt, the electronic kick drum had a taut wallop and I heard impressive low-end extension when the synthesized bass drifted in. I was also impressed by the Sky’s rendering of ambience: the swirling female vocals had a rich, airy presentation and soared without strain when I turned the volume knob up. Another thing about the Totems that impressed me on this track was their ability to deliver consistent performance at different volumes. Bass remained solid and present even when I turned the level down, and the strands of voices, synths, and percussion retained a vivid, layered presence in the mix. Totem Acoustic’s Sky speaker delivers dynamic, exciting sound from a surprisingly compact package. I normally crave a subwoofer when listening with a standmounted speaker like the Sky, but in this case I was happy with the bass that it managed. I was also impressed with the speaker’s imaging, and by its ability to render complex music in a precise, detailed manner without sounding clinical. Reservations? While I found the Sky’s overall sound exciting, on some tracks the presentation could be a bit in-your-face. There are also other great-sounding compact speakers to consider in the under-$2,000 price range, including numerous models that are priced quite a bit less. Still, the Sky is undeniably well-engineered and well-crafted, and it should appeal to listeners seeking something extra from a compact speaker. 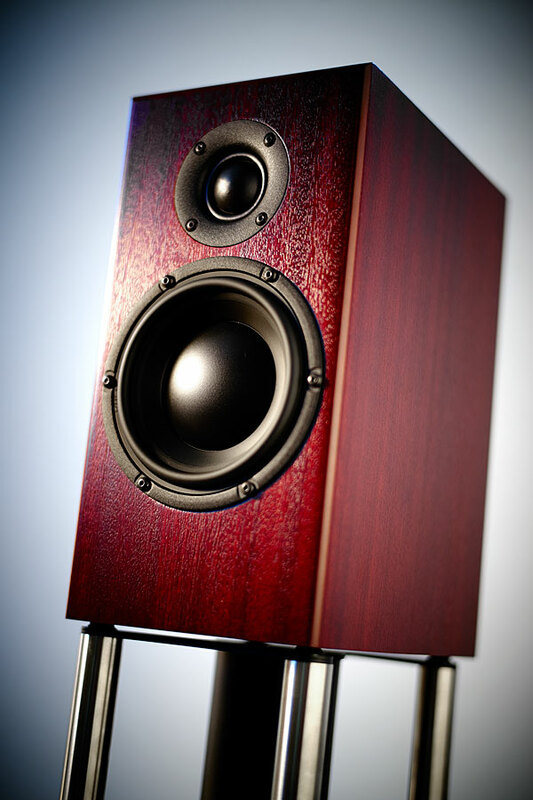 New glowing review of Falcon LS3/5A speakers at highfidelity.pl ! field of Hi End Audio distribution. Copyright © 2019 Melody Club. Powered by Mevart.